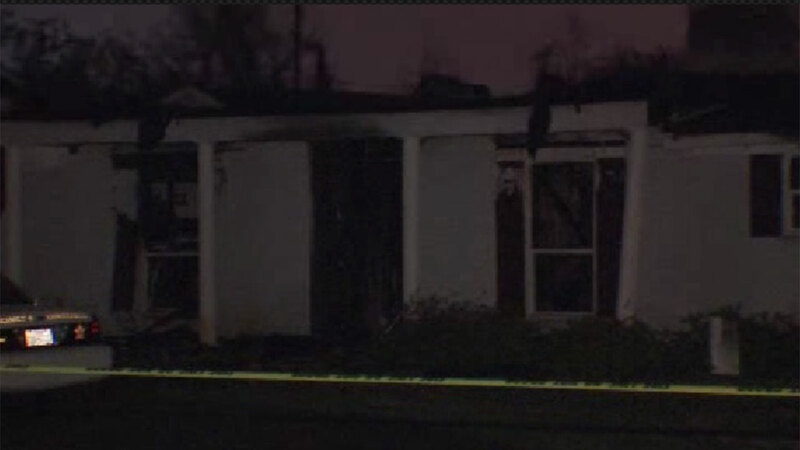 SUGAR LAND, TX (KTRK) -- Two Sugar Land teens are being hailed as heroes for saving two dogs from a house fire. Garett Garcia and his friend say their hearts raced Tuesday when they saw flames coming from their neighbors' home on Pecan Grove. No people were home but two German shepherds were huddled on the porch. The boys knew the dogs wouldn't leave the property because of their e-collars, so they jumped into action to save them. "We ran up to them and ... one of them came up to us and we just cut her collar off and brought her to the truck," Garcia said. "Then the other was a little scared so she ran out to the field and we tried to get her closer to us, but she was scared. She was snapping at us a couple times but eventually we calmed her down and got her to get her collar off as well. We cut it off and we ended up getting her into the truck too." The house was destroyed but the homeowner still gave the boys $100 each for saving his pets.